Need working capital for your business? Now you can. 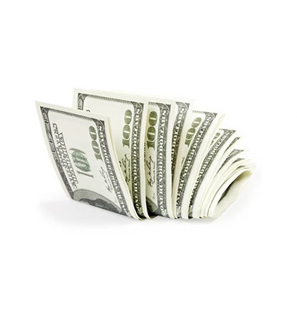 Get a cash advance in almost within 7 days through Business Payment Systems. Let us introduce you to our Business Payment System’s latest program: Merchant Cash Advance Through our Merchant Cash Advance program, you get the advantage of converting the future receivables of your credit card into a working capital for your business. Let’s say you require fifty thousand dollars. We’ll provide the fund, and whenever you swipe your credit card, a small fixed percentage of the sale will be diverted for repayment of your balance. You won’t have to bear any accruing interest rate. There will only be a one-time fixed fee for the fund, no matter how much time it takes for you to pay back the advance to us. Plus, our Merchant Cash Advance program offers a lot of other benefits, too – like no monthly payments, minimal paperwork, and the most fascinating part is that you can invest this money for any business of your choice. You can even utilize this fund for things like expanding your workspace or office area, or for opening a new business center. With this fund you can also purchase equipment, inventory, and other stuff such as office supplies at a reasonably lower cost. Not only that, you can use this money to expand your staffing – hire more professionals according to your requirements. Also, you can go ahead with the much required advertising and marketing campaigns. So what do you need to qualify for this program? There are few terms and conditions, but one of the most important things is that your business presence needs to be at least one year. Also, you should have no record of open bankruptcy filings. Apart from that, the monthly processing on your credit card sales needs to be at least thirty five hundred dollars. So, if you are an eligible applicant, please go ahead and click the ‘get started’ button on our website, fill the requested information on our form, and within 24 hours, one of our representatives will get in touch with you, or call 956 631 1234.
Business Payment Systems 2014| All Rights Reserved.